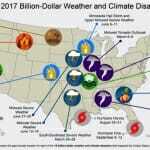 NOAA cooperative institutes, like the University of Wisconsin–Madison Cooperative Institute for Meteorological Satellite Studies (CIMSS), play a key role in mitigating weather-related losses by increasing innovation and research opportunities. 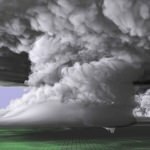 Scientists have created a detailed simulation of a tornado-producing supercell thunderstorm that left a path of destruction over the central Great Plains in 2011. 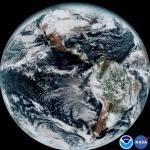 After spending months in space, quietly orbiting the Earth, the next-generation geosynchronous satellite has broken its silence and sent back its first images, with help from UW–Madison. Weather balloons better watch their backs. 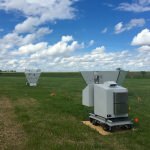 A new weather forecasting tool could soon find itself part of the day-to-day operations of the National Weather Service, and UW–Madison researchers are testing it.